Performances in Hanoi and Berlin. 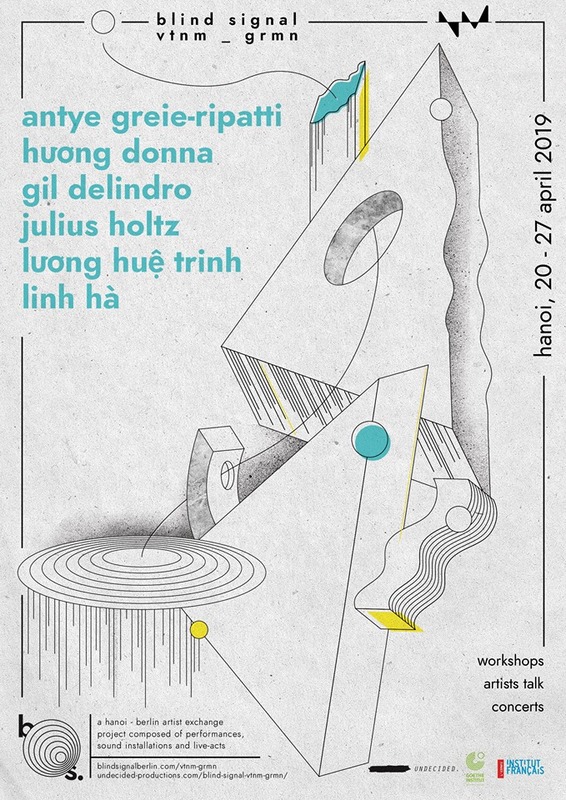 Produced by Blind Signal and Goethe-Institut Hanoi. My new Album "Fragments of Fiction" is released. The Album is a collection of pieces written been between 2014 and 2018. These derive from fictional and non fictional audible spaces. They depict a highly subjective sound world that is inspired by variable spaces: By living in a bungalow located in the back yard of a farm by the Mexican Pazifik, as well as music studios and art galleries in Europe. Fragments of Fiction contains the piece „Cloud Seeding“, originally composed in a spatialized 3D-audio format and presented by Berliner Festspiele in 2018. Spatial transformations and imaginary places are recurring themes trough the album. Synthesized sound worlds mash with tweaked field recordings to narrate the story of possible future sonic environments. Immersed in sound, the notion of space is expanded into all audible perceivable: Geographical, social, and tactile space; vibrations of different origins that keep echoing and feeding back inside our bodies. I am happy to work with "The New Infinity" program by Berliner Festspiele. 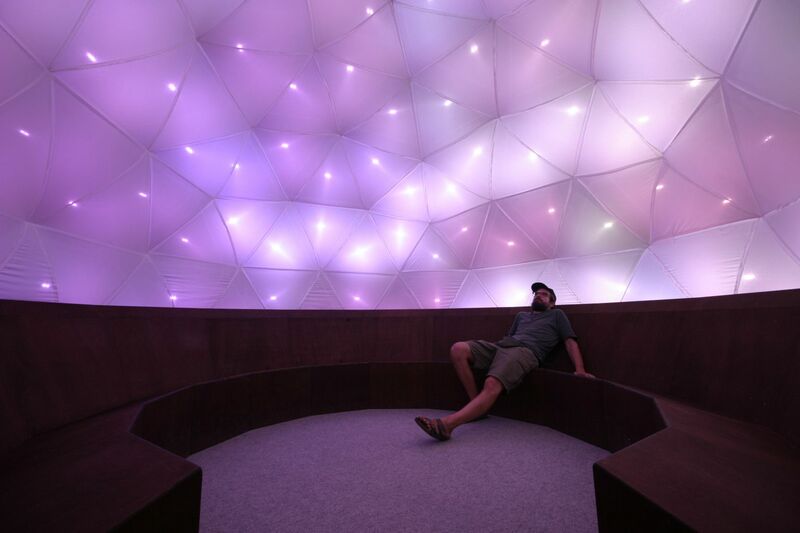 We develop a mobile dome with fulldome projection and an immersive 3D audio system. I am advising Berliner Festspiele with the development of the sound system and will work with the invited artists on the spatialization of their pieces. The collaborative project Klang-Raum-Skulptur (Sonic Sculptures) enables an intimate and secure listening space. Within this space listeners are connected through a common experience of immersive sound. At its core, the audio-visual installation is an extremely powerful spatial intervention: It reorganizes sonic, social and physical space. With the help of a hidden camera the audience's movements trigger patterns on a firmament of 96 independent LED`s. The inside wakes ritualistic associations of sweat lodges, caves or the night sky. Within the installation you can experience sound in a spatial continuum. Utilizing an ambisonics sound system, sound can move infinitely far away or come intimately close: it moves around, as well as above or right through you. Led by your ears, you’re encouraged to explore your inner and outer space in which sound appears as a physical entity. The music and sound design is created in collaboration with fine artist Markus Hoffmann and DOP Cornelius Diemer. The work is the fourth piece of Hoffmann`s Bikini Atoll Containment series. The film was shot in the nuclear exclusion zone of Chernobyl.